Leading the team in a sing-along on Monday afternoon’s bus to Roxbury Latin, sophomore Jovan Jones ‘18 approached this week lightheartedly. 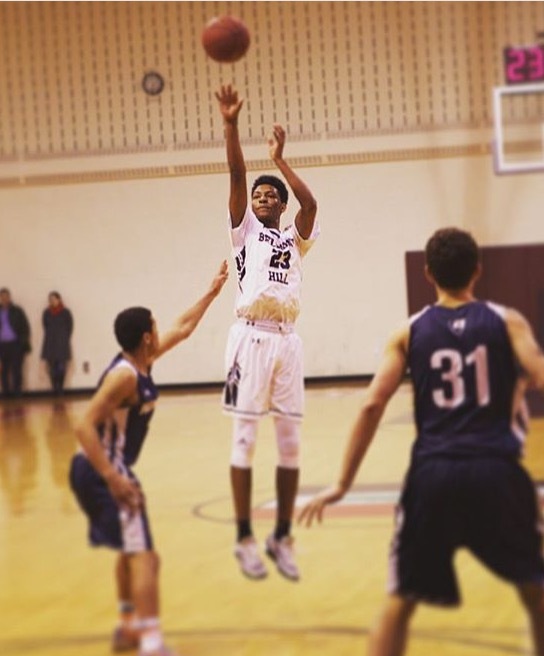 Yet, playing three games in five days to end the regular season, both Jovan and the entire Varsity Basketball team were aware of a dire need to bolster their NEPSAC tournament resumé. 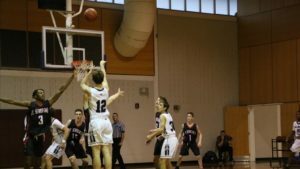 A February 17th loss at Brooks may have ended the team’s hopes for an Independent School League title, but attaining a tournament bid in New England’s competitive Class A bracket was still viable. 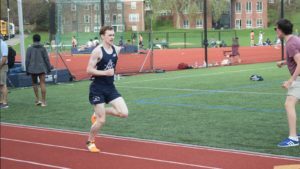 Wins over RL, St. George’s, and Governor’s would undoubtedly improve the NEPSAC committee’s opinion of Belmont Hill’s young team. From his high-pitched rendition of Sorry by Justin Bieber that atypical Monday afternoon, no one could have predicted the three tremendous performances Jovan would soon deliver. But by week’s end, everyone on the Hill had heard about at least one of Jovan’s highlight dunks, part of a rapidly expanding repertoire: his alley-oop Wednesday afternoon, self-pass-turned-slam off the backboard Wednesday, and a classic windmill Friday night. 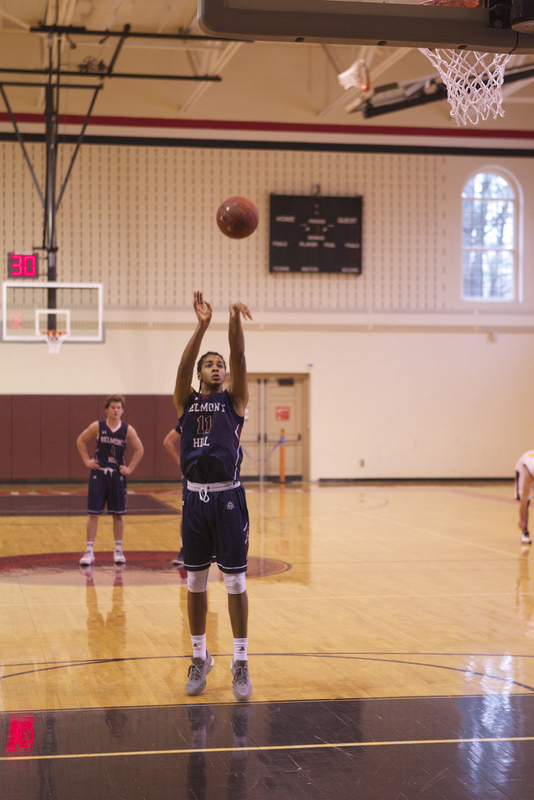 Their auspicious week began with a convincing 54-39 win over Roxbury Latin. Jovan’s double-double (21 points and 12 rebounds) culminated in an electrifying four-point play late in the second half. Fouled after swishing a three pointer near the baseline, Jovan, laughing on his way to the line, calmly swished his free throw before jogging back to play defense. Jake Bobo ‘18, another starter and solid contributor, especially when taking charges on the defensive end, finished with fourteen points. On Wednesday, the team continued its streak, handily defeating a weak St. George’s team. Every single player contributed to the victory. Young players typically out of the spotlight, like Pat Shea ‘17, TJ Agnihotri ‘17, Spenser Smith ‘18, Justin Neil O’Riley ‘18, and Quentin Harris ‘18, capitalized on the chance to showcase their skill and potential, while seniors Johnny Hincks ‘16 and 7th-man AJ DiFillipo ‘16 enjoyed one of their last basketball games sporting Belmont Hill’s sharp, navy jersey. Co-captain David Mitchell ‘18 only missed one of his nine shots (89%) from the field, but saved his most important three points of the season for Friday evening. A large crowd composed of The Loop, family, faculty, and friends were lucky to witness Senior Night, the regular season’s final installment, a Friday night game against Governor’s. Injured co-captain Austin Masel ‘16 was forced to watch from the sideline, but seniors Johnny Hincks and AJ DiFillipo joined Mitchell, Jones, and point guard Jake Haase ‘18 in the starting lineup. Signs of the game’s historic destiny were evident even in the first half. From the second the opening ball left the referee’s fingertips at center court, teams traded leads for the remainder of the evening. A deep, buzzer-beater AJ DiFillipo gave Belmont Hill a tenuous, three point lead at halftime. With about two minutes left, however, Coach Murphy found his team down five. The events that followed would define an epic two minutes in Belmont Hill basketball history. As they have managed to do so many times this year, sophomore duo Mitchell and Jones stepped up. A couple of steals had cut the deficit to one with less than a minute left on the clock. The Loop, feeding off Varsity Hockey’s 6-4 Senior Night win, buzzed with a unique energy. 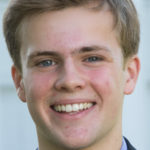 A strategic, late-game foul landed a Governor’s shooter on the free throw line, but after missing his second shot, Belmont Hill recovered the rebound, and Jake Haase rushed up the court, preserving valuable seconds with every rushed step. With 4.3 seconds remaining, Haase squares and releases the ball, its immense arc seemingly suspending the force of gravity. In a frenzy to block Haase’s three attempt, Governor’s defenders fail to monitor Mitchell’s presence below the rim. Haase’s shot bouncing off the back rim, Mitchell adeptly positions himself on the right block. Outstretched hands meet the ball and in one swift motion, he shuffles his feet, dribbles once, and jumps, absorbing excessive contact from a Gov’s defender. Protecting the ball with his side, his gentle hands initiate the ball’s path towards the glass. The referee’s whistle sounds exactly as the net swishes, and a stoical David Mitchell walks to the foul line with a chance to convert his three-point play, avoid overtime, and win the game. Calm, cool, and collected, Mitchell positions his feet, takes a deep breath, and stares down the rim, intimidating it with his silent confidence. Slowly bending his steady knees, Mitchell grounds his feet and releases the ball. He sinks the free throw with ease before raising his arms in celebration. The Fritz Gym erupts with euphoric fans. Mitchell’s veteran composure towards the end of Friday night’s game reveals so much about the team’s potential. 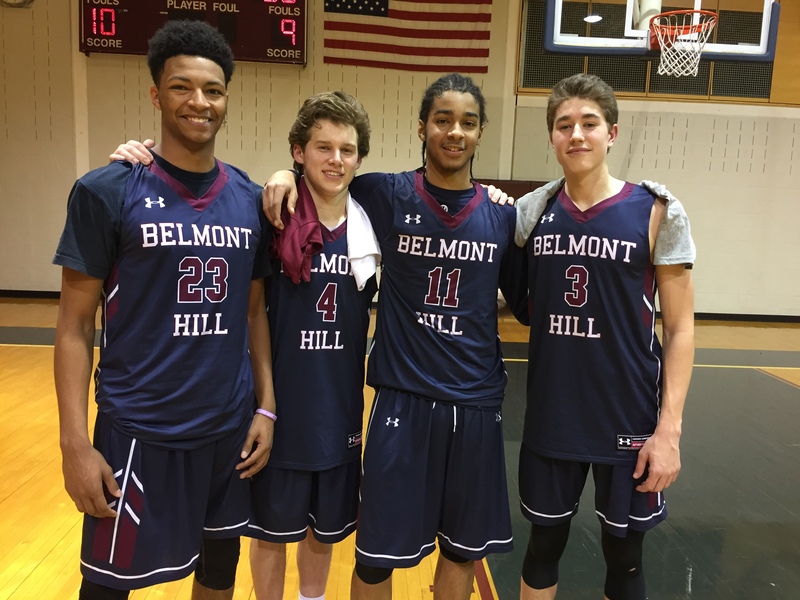 With sophomore point-leaders Jones and Mitchell already showing the composure of seniors, the Belmont Hill basketball program has entered an exciting period of potentially unmatched success. Even if the selection committee fails to recognize their second-place 13-2 ISL finish and current 6-1 run, expect to see this ambitious young team in the bracket next year. The SuperSophomores (as Captain David Mitchell ’18 Calls them): from left to right, Jovan Jones’ 18, Jake Haase ‘18, David Mitchell ‘18, and Jake Bobo ‘18. This promising core has incredible potential for development and improvement over the next two seasons. The New England Prep School Athletic Conference (NEPSAC) will announce the Class A Boys’ Basketball tournament bracket this Sunday, February 28. 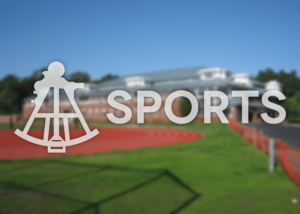 Update (Sunday Feb. 28, 7:55pm EST): Unfortunately, the team did not make the 2016 NEPSAC Class A tournament, just one win shy of receiving a spot in the eight-team bracket. However, the BH basketball program did receive good news today, as both David Mitchell ’18 and Jovan Jones ’18 received their first Division 1 offers from Boston University.